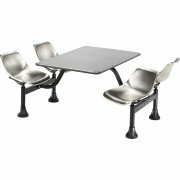 OFM Café tables are durable and convenient. Appropriate for both educational and professional settings, these versatile tables are virtually indestructible. 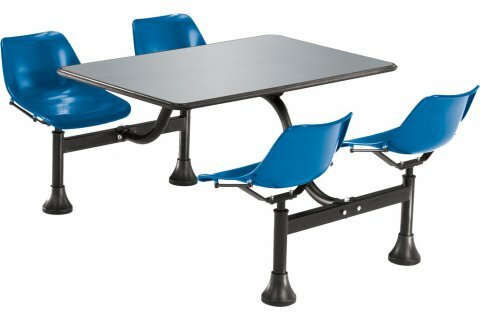 These cafeteria tables are built to seat four adults comfortably. Their seats are constructed from tough steel, making them long-lasting. Low Maintenance: Auto-return seats save you the trouble of pushing in chairs or returning them to tables. 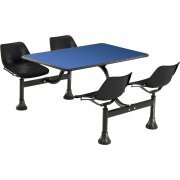 Adaptable: Individual leveling-glides on each table leg enable you to adjust for uneven flooring.